Swimming with whale sharks could be on my bucket list – if I wasn’t so afraid of water – so when my friend Debbie told me that this was one of her biggest dreams I excitedly followed her plans. You have just returned from a solo trip to Mexico. Why did you choose to go there? I went to Mexico because I’ve always dreamed of swimming with whale sharks, and at this time of the year (July) there are huge numbers off the coast of the Mayan peninsular. I went for three weeks and most of my trip was based around the water and snorkelling with the wildlife. You don’t have to get in the water either. I took a catamaran trip and I kayaked too. Mexico and Belize have the second largest reef in the world off their coastline, and I also crossed over the border and visited Belize for a couple of days. However there is more to Mexico than water sports. There is lots of history, ruins and temples – I only went to a small part – Mexico is vast. Partly because nobody was free to come with me and swimming with the whale sharks was something that I really wanted to do. In the past I would never have dreamed of travelling solo, not until I went travelling with yourself last year (we backpacked together for 7 weeks in Cambodia, Vietnam and Thailand), and then I realised that when you stay in hostels you are never really travelling alone. Travelling with you (and doing your confidence building course before hand) made me more knowledgeable about this type of travel (solo). With knowledge comes confidence and therefore I was confident enough to book this trip solo to a country that is in fact reasonably dangerous. There was one episode – when the police were after someone. There was a manhunt for somebody from one of the drug cartels who had killed a police officer. I heard the gunshots whilst I was sitting outside a restaurant drinking the first of my 2-for-1 margaritas. The staff immediately ushered us all inside the building and quickly fixed bars across all of the windows to prevent us from entering. I watched the police in the street run past armed to the hilt. Personally I wasn’t frightened although there were people running into the restaurant for sanctuary and many of them were scared and crying. They were hiding behind the pillars. In true British style I ordered my second margarita and waited it out. The only time that I felt nervous was walking back to my hostel through streets that had been locked down and felt like a warzone. Why did you choose to stay in a hostel rather than a hotel or an apartment? One day I received bad news from home. I had just arrived at a deserted hostel – not even the owners were there – so I jumped straight on a bus to where the life was and got chatting to the waiter in the coffee shop, but otherwise, no. How do you think you would have coped if you had got sick? I can speak the (Spanish) language which is one major hurdle overcome and I had good travel insurance. I felt quite confident that I would be fine if I were to get sick. Swimming with whale sharks! I wasn’t disappointed at all, however, all of the excursions that I did were all great and also the best bit was making new friends. I have been invited to visit a family in Colombia that I met on my catamaran trip and also to Mexico City by a flight attendant! After a six hour hot and dusty bus journey I arrived at my next hostel to check in. There was nobody around, just a faded handwritten notice on the door directing visitors to the run-down little house next door. There I found a friendly family who had a key and got me into the hostel. They were very helpful but it turned out that the owners were away and I was the only person (guest or staff) rattling around in the place. This coincided with me receiving my bad news from home. However, despite this, my spirits were lifted when the grandfather of the family next door invited me to sleep in one of their hammocks with his family if I didn’t want to be alone in the hostel. I declined but the thought was there. I had been very thorough with my research before I booked my day out and I wasn’t disappointed. I chose to go swimming with whale sharks with the Whale Shark Encounter from Cancun who do a lot of conservation work. We were one of the first boats to arrive at the expected whale shark site and because of that I had the opportunity to spend a lot of time in the water with these magnificent fish. I am thinking about going to see blue whales, swimming with dolphins in the wild and I would love to do a 3 day trek and boat trip to see orang utangs in the wild in Borneo. By visiting these animals in their natural habitat in an unobtrusive way with responsible companies and guides can help to provide an income for local people who find it in their interest to protect the environment and the species. For instance, in the case of Whale Shark Encounter that I used in Mexico, all employees are from the local community and the company has the National Geographic Snorkel’s Certificate. I would say, just do it. Research it, stay in hostels but don’t be too regimented with your plans. I literally only had the first few days booked and planned and I made arrangements as I went. As long as you have internet access and a smart phone it’s all so simple. I would also recommend that anybody who is nervous about travelling solo for the first time that they take a course. 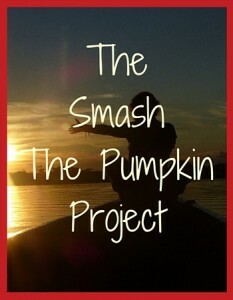 I initially followed the Smash the Pumpkin Project and then later, I joined you (Jane at Scarlet Jones Travels) on a trip through Cambodia, Vietnam and Thailand, both of which taught me a lot. These things gave me the confidence to travel solo and made me realise that I didn’t need to wait around for friends to be free to travel with me. What saying or mantra resonates the most with you? As I was racing across JFK Airport in New York to make my onward connection to Mexico I saw this sign. I stopped briefly to take a picture but it really struck a chord. I know that you had problems as a result of flight delays. How did you cope with that? What were your initial feelings and was it as bad as you had feared? I was a little bit disappointed as I had my tour to go swimming with whale sharks booked for the following day and I wanted to be organised and relaxed for that. I did everything in my power to catch the connecting flight but I missed it by minutes (due to delays with the first flight). As I arrived at the gate, staff came out to tell me that they were sorry but the gate had been closed and I had missed the plane, however they immediately directed me to a help desk who organised a hotel and a flight the following morning. 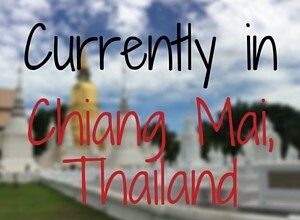 I was nervous but I decided that it was just another experience and part of my travels. I got to spend a night in New York where I met some very friendly people including a man who bought me a cheesecake! I was apprehensive but I knew that the airport staff would fix things so I relaxed and told myself to chill. I also got chatting to an air steward who sat with me on my first flight and explained the layout of JFK and my options should I fail to make the connection – we are still in contact via email, and he invited me to stay with his family in Mexico City. None of this would have happened if I hadn’t missed my plane. Yes I would and I would recommend Mexico even if you are not into water sports. I would love to visit Mexico City, the north and the Pacific coast and I would certainly love to go swimming with whale sharks again. And to sum up – do you have any tips for would-be solo travellers? If you are in Mexico and you plan to hop over to another country and back, be careful with the taxes that you might be asked to pay when you leave and enter across the border. For instance, if you are due to leave by air at a later date you should not have to pay taxes to Mexico if you pop over to Belize by boat (you will still have to pay Belize customs). I researched this topic from other travel blogs whilst on the way to the border and I subsequently held my ground and (correctly) declined to pay the requested taxes when leaving Mexico. I also managed to get a refund for an Irish couple at the border who had been unaware of this rule and had initially paid up without questioning. Are you too old to stay in hostels?